Home / Computer / Microsoft / News / Windows 8 / What’s New in Windows 8.1 Update 1 or Windows 8.1 Spring Update? It’s been around one and half year since Windows 8 was launched. This version of windows was highly criticized for removing the classic start menu, however the features and security that windows 8 introduced was appreciable. To bridge the gap between the two GUI in windows 8 (The start Screen Metro UI & Desktop UI), Microsoft made several updates and released windows 8.1. The update corrected several usability issues that users of Windows 8 experienced, for instance the lack of tile resolutions, no option to set a unified background image, or the option to boot straight to the desktop. This time they are going to release Windows 8.1 spring Update on 8th April (However its already been leaked on the Internet) which increases the ease with which keyboard and mouse user work on the OS and addresses mostly issues that are specific to mouse and keyboard users. Note: - Those who are still stuck with Windows 8 and have not updated to Windows 8.1 and its spring Update, please do Update. You will find a lot of difference and enhanced user experience. 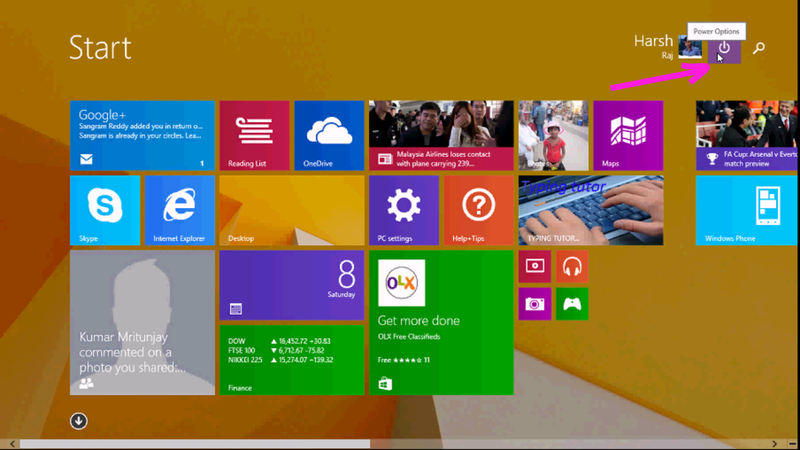 So what’s new in Windows 8.1 update 1 or Windows 8.1 Spring Update? 1) Several changes have been made to the start screen area. When you right-click a tile now, you get a context menu right at the location of the mouse cursor, and not the toolbar at the bottom anymore which means less mouse moving to select actions from the menu. 2) Shutdown and search buttons are now displayed on the start screen which improve the usability for mouse and keyboard users further. Here you can select sleep, shutdown or restart when you left-click on the icon. 3) The account icon now provides you with right-click options to lock the system, sign out, and to change your account picture. 4) You will also notice that apps that run on the screen have a titlebar now that resembles the bar that desktop programs display. While it hides after a couple of seconds, it can be displayed again by moving the mouse in that area and leaving it there for a short bit. That toolbar enables you to close the app window, to minimize the app, or to split it. 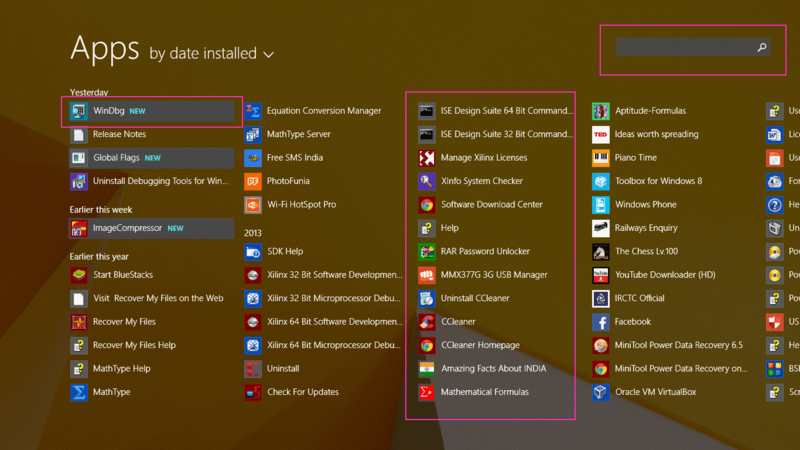 If you minimize it, or use other means of hiding the app, you will notice that the app appears on the taskbar displayed on the desktop part of the system. A click on it opens it up again, while a right-click and the selection of close window from the context menu shuts it down. You can disable the display of apps on the taskbar though. 1. Right-click on the taskbar while you are on the desktop and select properties from the context menu. 2. 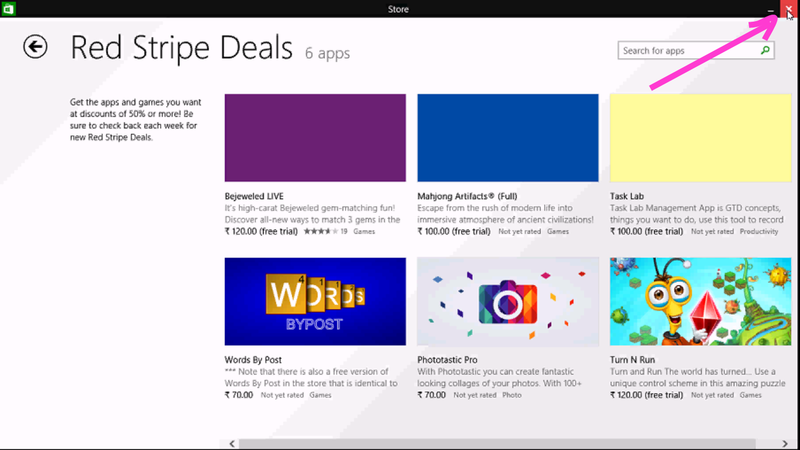 Select Taskbar, and remove the checkmark next to "Show Windows Store apps on the taskbar". 5) Another feature that allegedly made it into Windows 8.1 Update 1 is that boot to desktop is on by default for mouse and keyboard users. The apps view has been improved on the Start Screen. New items are now highlighted with a different -- lighter -- background colour so that you can spot them easily here. 7) The second option that you have here is to increase the number of apps displayed on the screen. You do that by opening the Charms Bar with Windows-C, selecting Settings > Tiles, and switching "Show more apps in Apps view" to Yes. Apart from this, Internet Explorer 11 ships with a new Enterprise Mode which allows businesses to select which sites should be loaded in Internet Explorer 8 compatibility mode. It is not clear if this feature will only be available in the Enterprise version of Windows 8. Thank You and Share the Post to spread the message. To Comment if you have any doubt/feedback.